House blind. It happens to the best of us. When you become so used to your home that you unconsciously overlook the clutter or the time-worn flaws of aging. Have you experienced this phenomenon? Maybe you’ve been out of town for a while. You step foot in your house and immediately see all the worst offenders. 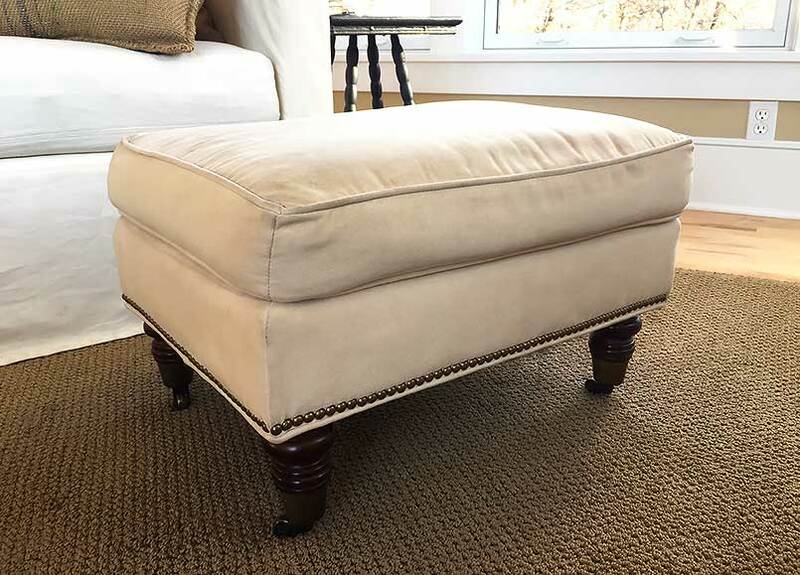 For me, recently it was our old, scuffed up footstool. 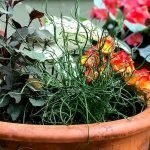 If you can relate, I’ve got a quick and fun solution for you. 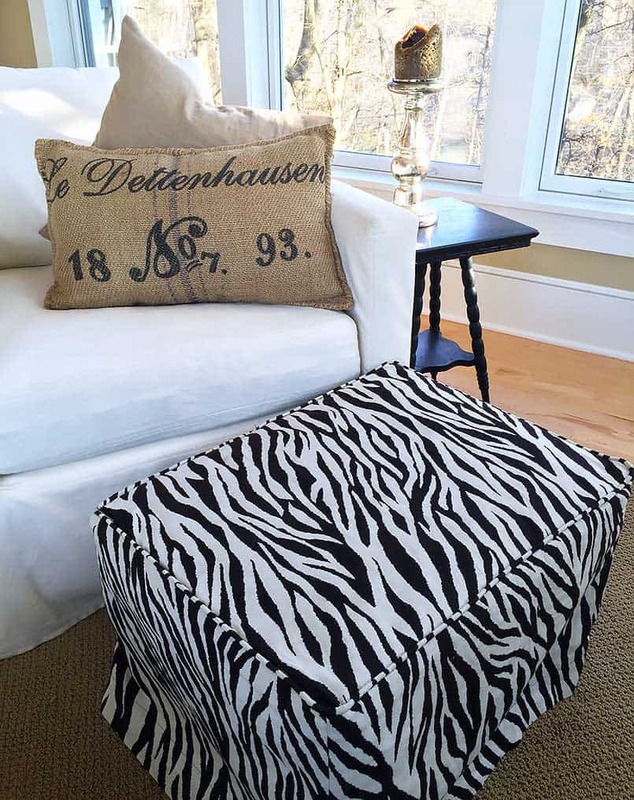 A tutorial to refresh your ottoman with a DIY slipcover. 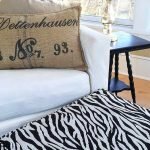 Maybe you just want a new print, a fresh pattern or a punch of color, because you’re not quite ready to buy new furniture. 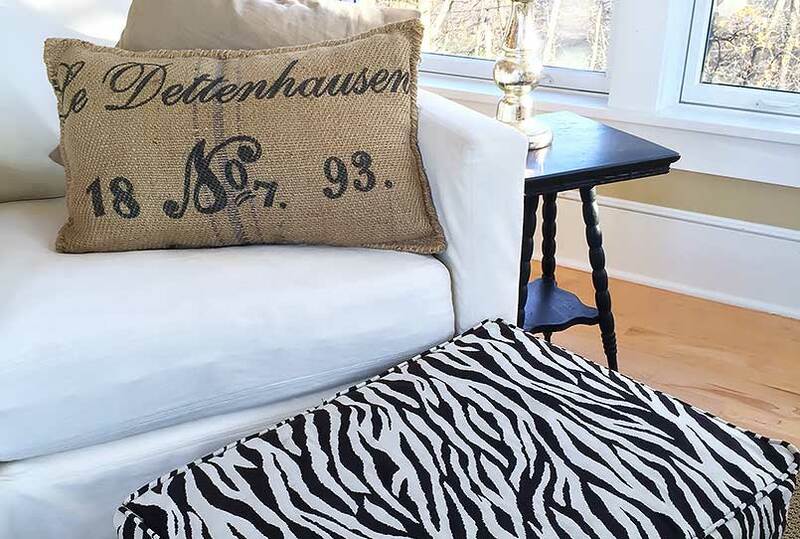 A slipcover may be a great alternative. It’s an easy and inexpensive update for a room. First of all, here’s some style inspiration to get you going. There is something for everyone, from beginner to more advanced. To keep it simple, use fewer pattern pieces, and skip the embellishments. If you are more comfortable around a sewing machine, you may consider breaking up your design to accent the cushion or the skirt area. Finally, you can add interest with the addition of welting, an appliqué, pleats or decorative trims. 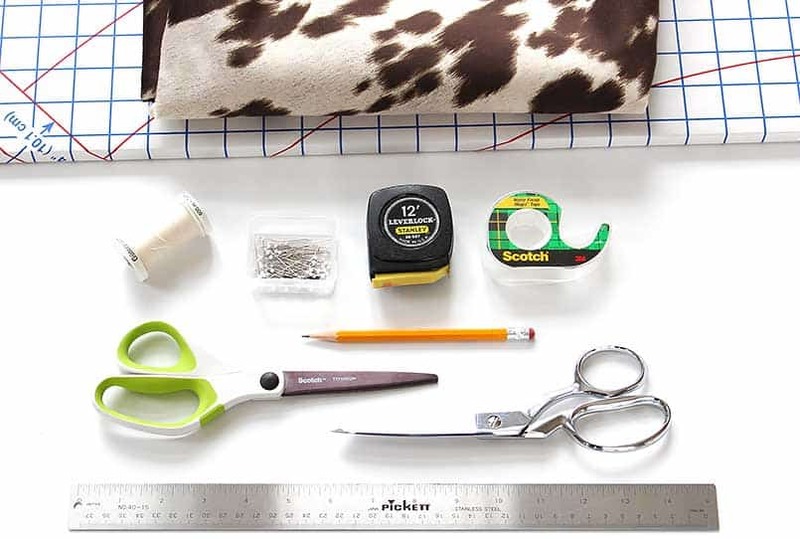 Here are the sewing supplies that you need to create your own ottoman slipcover. 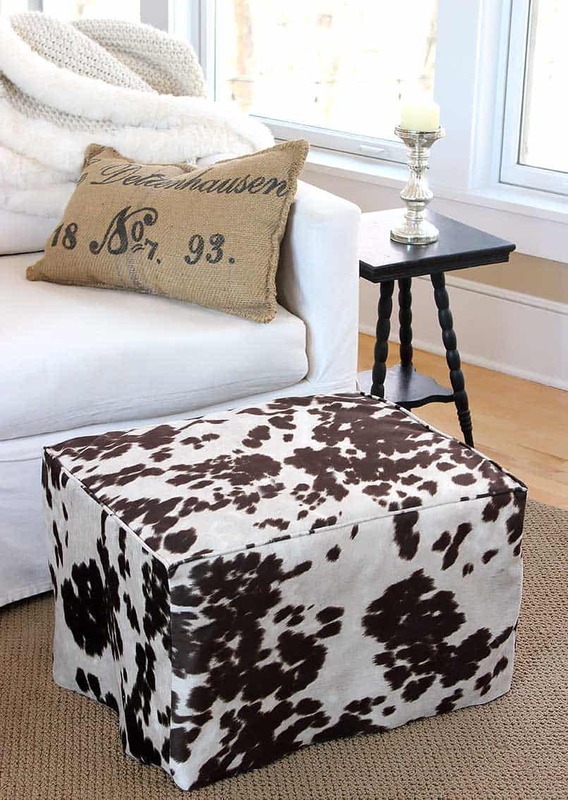 Next, you will need to measure your ottoman or footstool to determine how much fabric to buy. Write down your measurements. First for the top surface, width, and length. Then measure the side panels, width, and height. Decide now what you want the finished length for the slipcover to be. 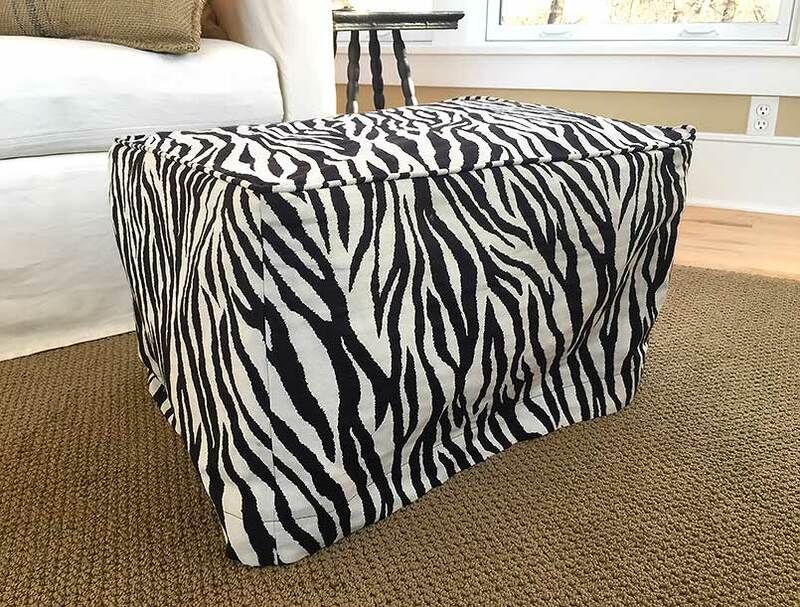 Maybe, you want the legs to show, or possibly you want the slipcover to go down to the floor. Whatever you choose, this will be your finished length for the side panels. This is a good time to add seam and hem allowances. Seam allowance is the area between the stitching line and the raw edge of the fabric. It is usually not seen, because it is inside the slipcover or garment. A typical seam allowance is between ¹⁄₄ to a ⁵⁄₈ inch, but it is a personal choice. Whatever length you choose, add it consistently to all fabric edges and measurements. 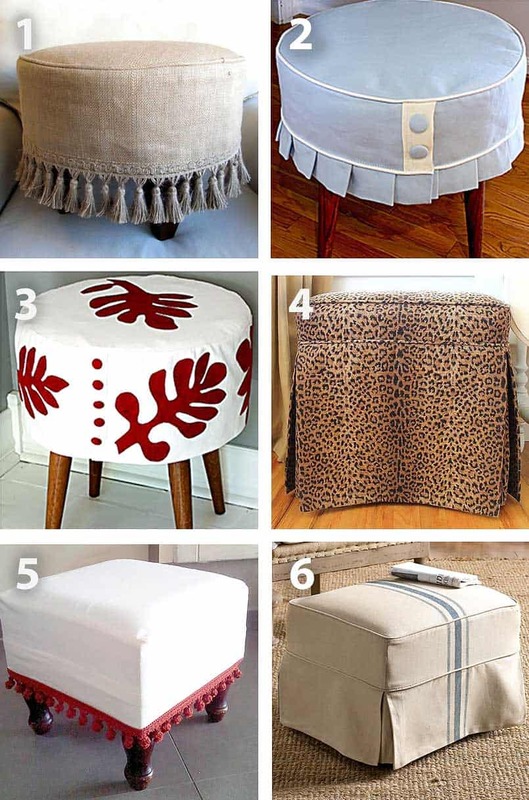 Also, add additional length to your side panels for your slipcover’s hem. One to two inches is good hem length. This gives the hem some weight so it hangs nicely. The most common widths of fabric available for purchase are 45, 54 and 60 inches. 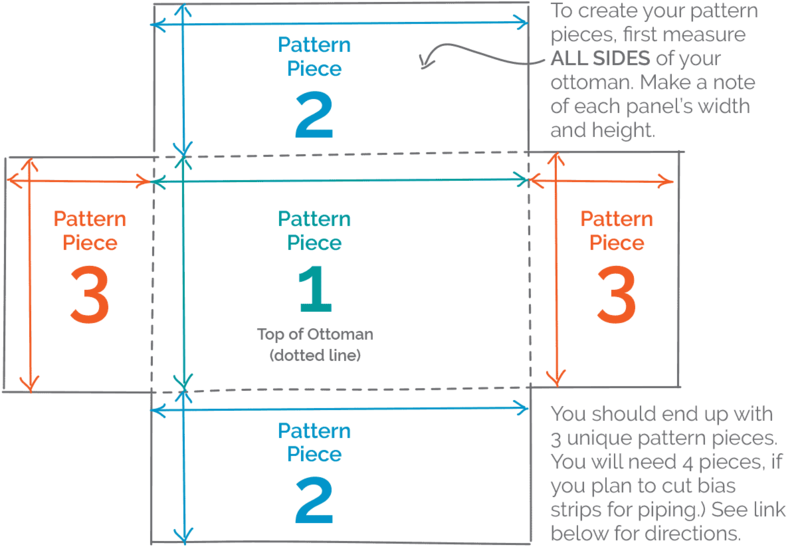 If you do not know your fabric width yet, take the drawing of your pattern (or the actual pattern pieces) to the fabric store and feel free to confirm amounts with the employee at the cutting table, before you order. They are almost always knowledgeable and happy to help with your questions. If you are ordering your fabric online, call the company’s helpline or you could still go into a local fabric store with questions first. My fabric is 54 inches wide. To determine the amount of fabric I needed, I drew my pattern pieces to fit into that fabric width. I like to make a paper pattern if I think I will make another version of my project in the future. 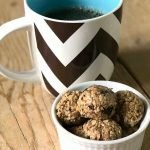 If you end up loving the finished product, you’ll be so happy you did. The type of paper is not critical. I ordered pattern paper on Amazon that is working great. Pattern Paper here (Affiliate link) You can also use any paper you already have in the house. You can tape sheets together if you need larger pieces. Find other paper options at your local art store, hardware, or Home Depot. Now is a perfect time if you want to make a paper pattern for your slipcover. Use your measurements to draw out the pieces with a pencil and straight edge. Cut out the pattern. After you get your fabric, wash it, machine or hang dry, and press. This will prevent shrinking later when you wash the slipcover. 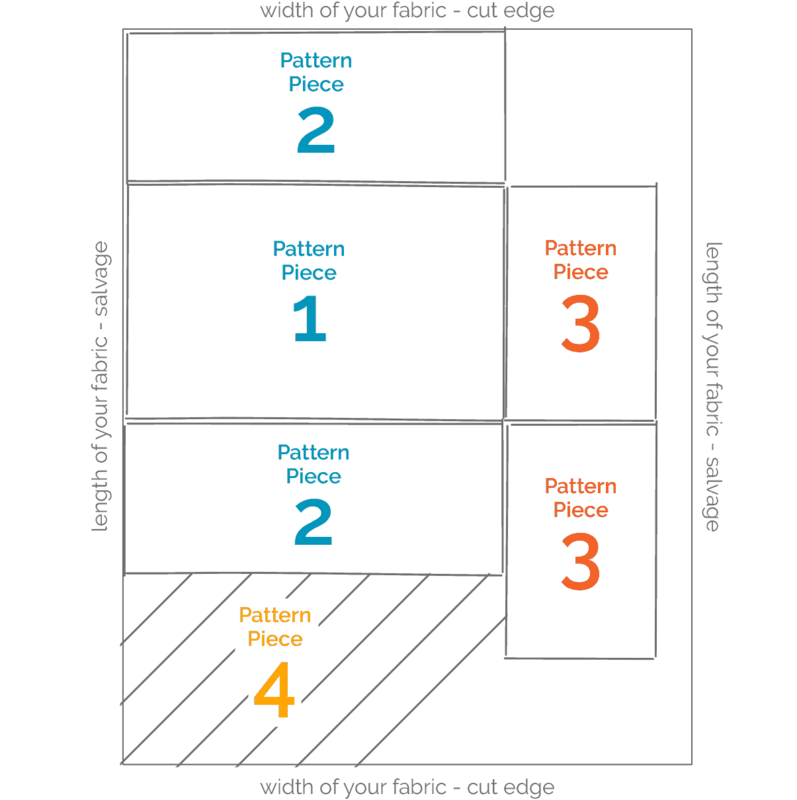 On a durable surface or sewing cutting board, lay the pattern pieces on top of your fabric. 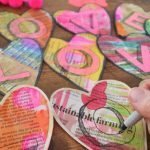 If you are not making a paper pattern, you can draw the pieces out with a washable safe marker. As you lay out the pattern, think about the fabric grain and pattern direction. You may have a strong preference which way you want your pattern, stripes or flowers to go, for example. Also, keep in mind how the fabric design will flow from one pattern piece to the next. Go slow, think through each step. This is when mistakes can happen. 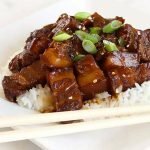 Did you cut out your fabric pieces? Great, you are ready to sew! 1 If you are using bias welting trim, make that first. Piping Directions. If not, jump to step 3. 2 Pin the finished piping around the perimeter of the top piece. 3 Sew the piping around the perimeter of the top piece. 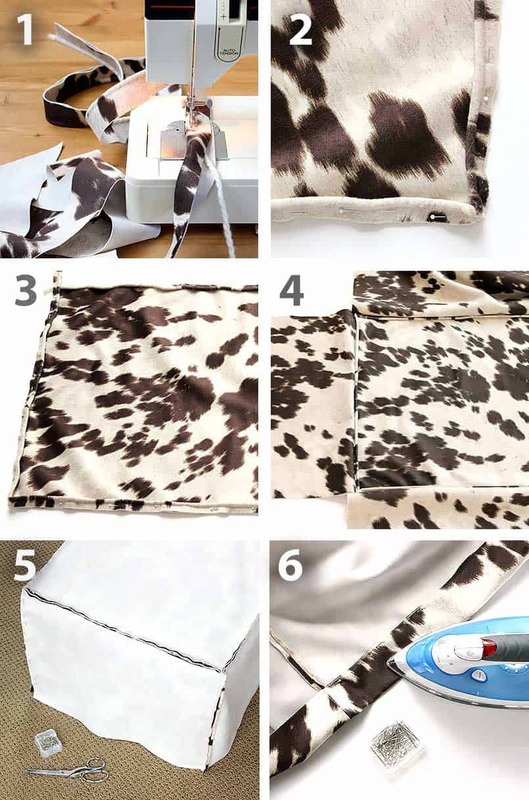 4 Pin, then sew the 4 side fabric pieces to the top. Turn and press seams down. 5 Pin, then sew all 4 side vertical seams. Turn and press seams. 6 To hem, turn the fabric under ½ inch along the bottom edge. Press. Turn under again another 1-2 inches. Press. This leaves a nice weighted hem. Using your sewing machine, topstitch at the top of the hem. This secures your unfinished edge. And finally in place! What do you think?